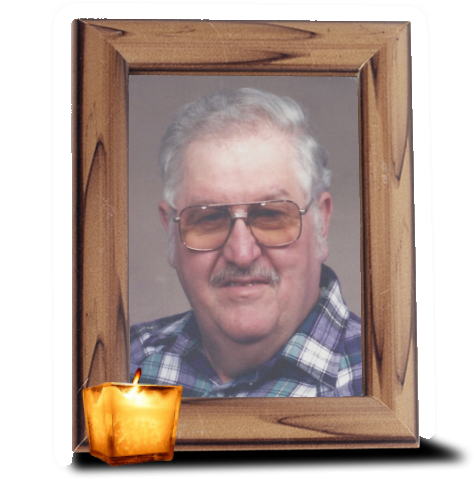 Obituary for Harvey F. Villers, Sr. | Wiesner & Massart, Inc.
Harvey Villers Sr., 82, formerly of Algoma, passed away on November 19, 2018. He was born on July 19, 1936 to the late Ernest and Grace (Degreve) Villers. Harvey served his country in the Korean War. He married Shirley DeGrave on November 24, 1979. Harvey enjoyed hunting, fishing and Polka Music. He is survived by his wife Shirley; children, Harvey Jr., Lee, Mark, Laurie, Jerry Villers; step-son, Michael DeGrave; sister, Ruth (Bruce) Tebon; and his grandchildren. He was preceded in death by two infant daughters. Friends may call at Wiesner & Massart Funeral Home (Algoma), from 9-11 am on Tuesday November 27, 2018. Funeral service will be held at 11:00 am Tuesday at the Funeral Home with Pastor John Moll officiating. Burial will follow at Nicolet Memorial Gardens. Online condolence messages may be shared at www.wiesnermassart.com .